A collaborative effort from University of York and Newcastle University (along with University of Liverpool and other Swiss and Brazilian research institutes) have possibly led to a ‘cheesy’ discovery. Notwithstanding the bad pun, the researchers have come across ceramic pot fragments in at least six sites scattered in the Swiss Alps. With their dates ranging from late Neolithic Age to the Iron Age, it was the residues left behind in these antediluvian specimens that has surprised the experts. To that end, according to the researchers, the chemical signatures given off by these residual bits can be associated with the action of heating milk from animals like cows, goats and sheep. 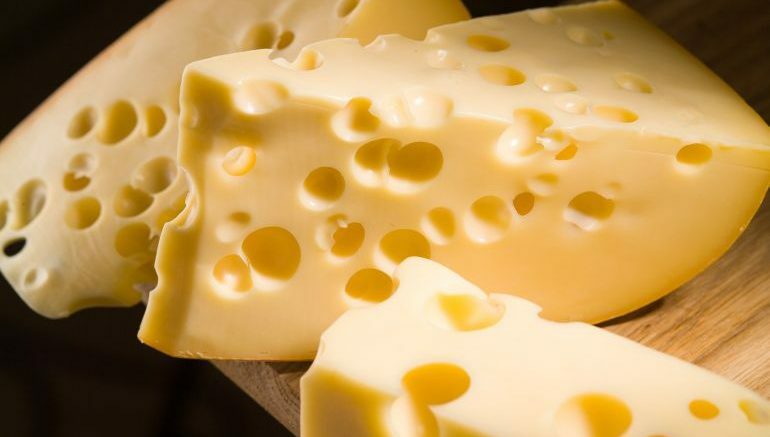 In essence, the remnants allude to a step in the cheesemaking process – thus suggesting how the Iron Age folks also enjoyed their Swiss cheese. Interestingly enough, it was not only the pot fragments that hint at cheesemaking. The archaeologists also noted how these ceramic pots were housed inside stone buildings that are pretty similar to the ones used by modern alpine dairy managers during summer time. Now it should be noted that the oldest archaeological evidence of cheesemaking dates back to 5500 BC, in the Kujawy region of Poland, while historians hypothesize that cheese in itself made its dietary debut by 8000 BC, coinciding with the time period when sheep were assumed to domesticated. The remains here in the Swiss Alps are obviously from a later period. But they (possibly) conform to a societal trend during the late Neolithic age which pitted the increasing influence of agriculture against animal husbandry. Even today, producing cheese in a high mountainous environment requires extraordinary effort. Prehistoric herders would have had to have detailed knowledge of the location of alpine pastures, be able to cope with unpredictable weather and have the technological knowledge to transform milk into a nutritious and storable product. We can now put alpine cheese production into the bigger picture of what was happening at lower levels. But there is more work needed to fully understand the prehistoric alpine cheesemaking process such as whether the cheese was made using a single milk or a blend and how long it was matured for. The discovery also sheds light on the legacy of Alpine dairy farming, a scope that has now transformed into a multi-million Euro industry. And while cheeses like Gruyere and Emmental are renowned throughout the world, their probable origin came from the resourcefulness of a few herders who were forced back to the mountains due to rise of agriculture.